The London-based band reveal the inspirations behind their escapist LP. 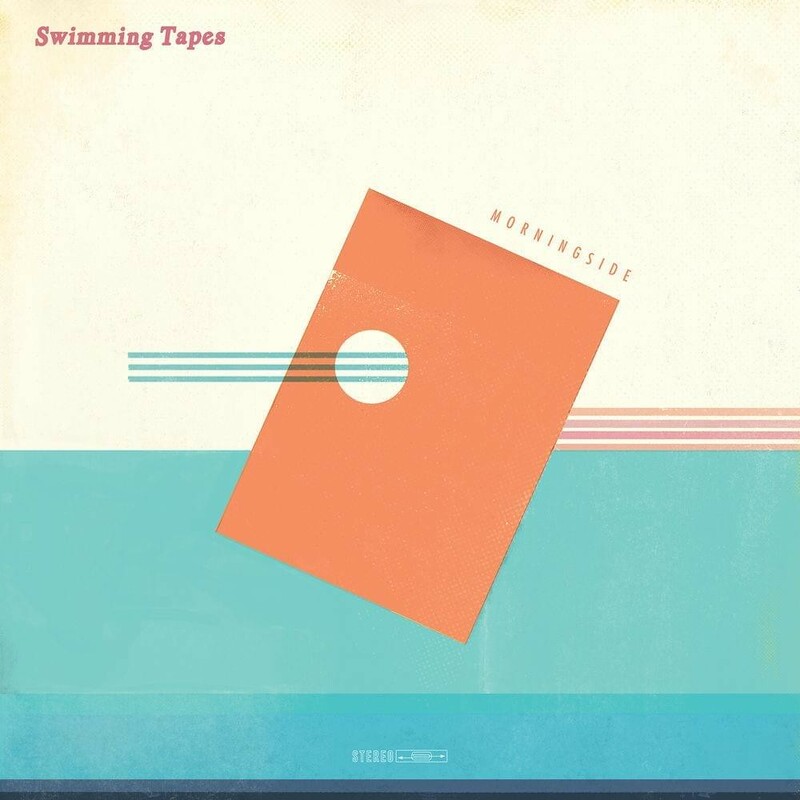 Swimming Tapes are a London-based quintet who are approaching the release of their debut album Morningside, which comes out May 24th through Hand in Hive. If you haven't heard the band's output before, now is a perfect time to hitch a ride on the tail of their contemplative slacker indie sound and ride with them out of the bustle of daily life and into vivid daydreams. Swimming Tapes' music has a soft dynamism that expertly sews the fabric of reality with that of nostalgia, providing ample sounds that will have you drifting between the two realms. We heard this on previous single 'Pyrenees', and it's further pronounced on 'Passing Ships', which we're premiering for you today. Below you can read Swimming Tapes' commentary on 'Passing Ships', listen to the track and then jump below for more inside info about the upcoming Morningside. Today we’re premiering ‘Passing Ships’, what inspired the song? Robbie: I thought I saw someone from the past on the overground, someone I had lost touch with years ago. They had their head down so I couldn’t tell for sure, then I got off and the train pulled away. I started thinking of all the times paths nearly cross without you knowing it. Sometimes there are people that mean a lot at a certain time in your life, you can have intense experiences and maybe never see that person ever again, the song reflects on that. ‘Passing Ships’ is set to be the opening track on your debut album Morningside, why did you decide to put it first? Does it play into the themes of the album? Louis: It was actually one of the last songs to be written before we went in to record the album. We had sat back and listened through what we had demoed so far and thought ‘not sure we quite have an opener yet’. So we were deliberately chasing an opening track, think we wrote a couple of different options and ‘Passing ships’ stuck out. It has a nice duelling guitar intro building up between myself and Jason, Robbie wrote some great lyrics and we just felt it summed up the vibe of the band well and would be a cool way to kick off the record. You recorded the album in Haggerston, where you now live; did that environment have an impact on the songwriting? Jason: Living in East London you think automatically that you’re cemented firmly in an area that has no greenery or is just high rise buildings for miles, but it’s actually very easy to escape to huge parks and beautiful scenery. Sunny days in London in the parks really shine through in our songwriting. I know that a lot of my best riffs come in the summer months and are definitely influenced by sunnier climes. I believe you recorded the majority of the album playing live together – why did you decide to do this and how has it changed the result? Paddy: We recorded the drums, bass and Robbie’s rhythm guitar together first for each song. Mainly because we don’t make mistakes and the others do so we left them out. Joking. We recorded our first EP by just tracking and it worked well. Our 2nd EP we mixed it up and tried it all live. At the time it seemed like something to try as ‘Queen’s Parade’ has a real jam feel at the end and we wanted to capture that. It ended up being really different to the practice room, not sure why exactly, being physically quite separate from each other in the actual live room feels a little unnatural, add to that wearing headphones and someone shouting "take 7" gets to the nerves! So for the album we decided to get the live vibe from the rhythm sections then track the other guitars and vocals separate and it worked really well. You’ve released a couple of 4-track EPs before this; what were the benefits and challenges of making a full-length album? Paddy: I think it never quite feels like you are a real band until you release an album. I find that so many singles and EPs that bands release get lost and not listened to as often as albums. I feels like more of a statement to do 10 songs rather than 5. It’s also nice to be able to put on tracks that feel more like album tracks. In fact my favourite tracks on the album are probably the more melancholic slow burning ones like ‘See It Out’ and ‘Say It Isn’t So’. Despite living in an urban environment, many of your songs have an outdoorsy sound and many natural images – why do you choose to do that? Paddy: I think that is mostly because 3 of us grew up by the coast in Northern Ireland. A lot of our songs are really about reflecting on those memories. It’s also a bit of an escapism thing. When you live in a built-up city like London you tend to yearn a bit for that space and more natural environments like the sea or somewhere more dream like. The art work is done by me. I always try to depict that feeling of escapism and dreamlike nostalgia. Most of the artwork is based around the imagery of the lyrics so it all ties in nicely around the same concepts. Your sound also has a natural ability to evoke memories and nostalgia, is this a purposeful choice? Robbie: I think we’re a nostalgic group, as Paddy said a lot of our songs are reflecting on our shared experience of growing up somewhere else. As a result of that we probably gravitate towards a certain sound. I’m not sure if it’s purposeful, just what feels right. In both ‘Passing Ships’ and previous single ‘Pyrenees’ (and some of the other tracks on the album) there is a sense of disappointment – does writing songs help you work through these (and other) feelings? Louis: Yeah I think creating music is a very therapeutic thing to do. As a lyricist, to put your feelings down on a track can feel somewhat invasive but is rewarding as well. We write this music purely because we enjoy it and it’s for ourselves really, but to have people relate and enjoy the songs and lyrics is really nice. What do you envision as the best setting to hear your music? Jason: Picture yourself driving along the Causeway Coastal Route in Northern Ireland in the height of summer - crashing seas to the right of you and idyllic scenery to your left. I don’t think there could be a better setting. What are some non-musical influences on your sound? Robbie: We like the pre-digital world of 35mm photography, VHS, cassettes. Films about moving or searching for something feel relevant, the Wim Wenders’ road movies like Alice in the Cities - travelling, looking for something or someone, trying to find your way back, documenting seemingly trivial moments with a polaroid camera. A snapshot of a moment, that’s what we try to get across in a song. Swimming Tapes' debut album Morningside is out May 24th on Hand in Hive - pre-order it here.